Manchester Airport is celebrating three milestones in its £1 billion (€1.1bn) transformation programme. “This scheme will be transformational, not just in terms of the buildings being created, but the experience we will be able to deliver to passengers and airlines,” says Andrew Cowan, CEO Manchester Airport. Fraport Greece has presented the future look of Thessaloniki’s ‘Makedonia’ Airport at a ground-breaking ceremony on the site of the new 34,000sqm passenger terminal, which is scheduled to open in the next two years. Manchester Airport is marking one year of construction on the biggest investment project in its history. The £1 billion (€1.1bn) Manchester Airport Transformation Programme will see Terminal 2 become 150% bigger and the focal point of the airport’s operations. 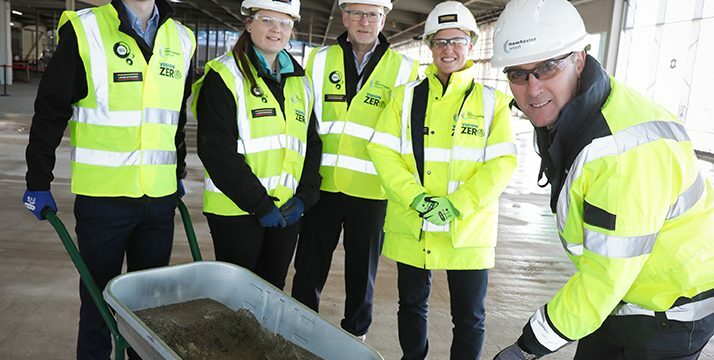 The UK Aviation Minister Liz Sugg visited Aberdeen International Airport last week to take in the most recent developments in the airport’s multi-million terminal transformation project, including the new security search areas, as well as updated retail, baggage reclaim and international and domestic arrivals.